Dominik checks the storm drain during the rescue. 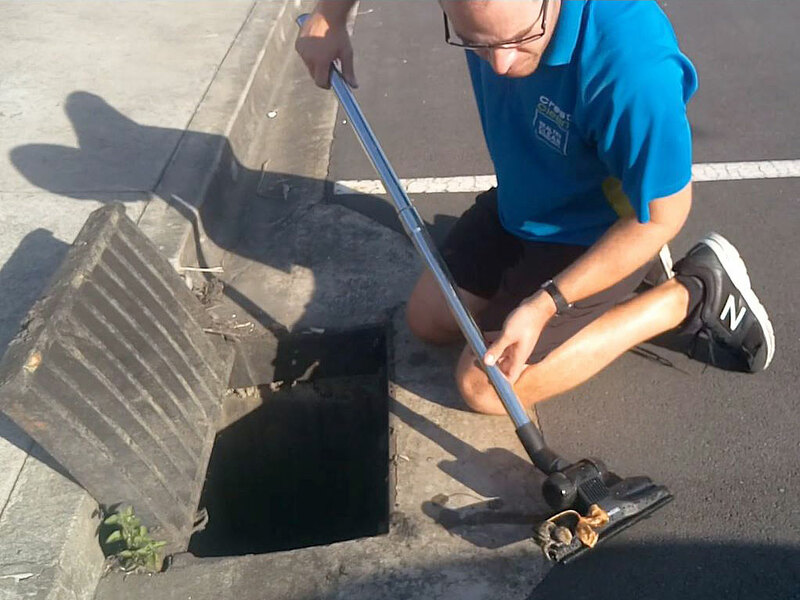 An Auckland CrestClean franchisee was the hero of the day after rescuing a trapped baby bird that was stuck down a drain. 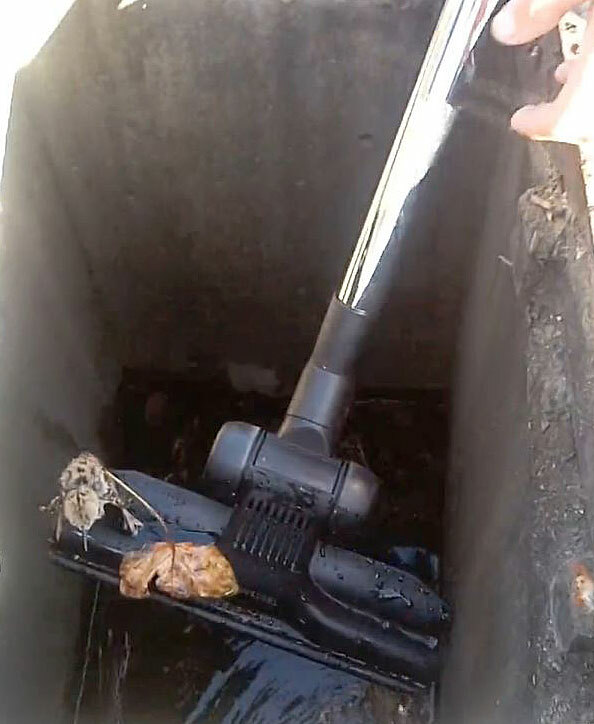 Quick-thinking Dominik Drahoninsky used an attachment from his vacuum cleaner to scoop up the young chick, after his partner saw it fall into a deep storm water drain at Hobsonville Point Secondary School. The wildlife rescue story reached TV screens nationwide on Friday when it was featured on TV Three show The Project’s good news sector. The drama unfolded when Dominik’s partner Barbora Opavova was taking out the rubbish behind the building when she spotted the chick taking its first steps near some bushes. 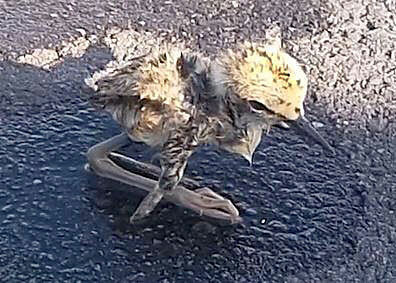 The pied stilt chick gets a free ride to freedom, courtesy of CrestClean. But as she marvelled at sight before her eyes, she was horrified to see the young fledging suddenly disappear when it reached a drain and toppled through a gap in the grating. 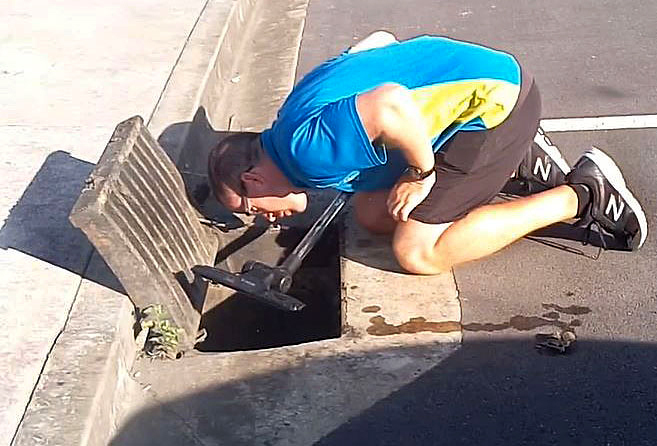 “I noticed there was a cute little baby bird running around but unfortunately it fell down the drain. It was a terrible situation and I just didn’t know what to do,” says Barbora. In desperation, she jumped online and posted a message on the Hobsonville Point Community Facebook, asking if anyone could advise her what to do. In the meantime, Dominik arrived and immediately sprang into action. “I couldn’t lift the drain cover on my own as it was far too heavy so Dominik took over and lifted it off,” says Barbora. Not wasting a second, Dominik grabbed the attachment from his vacuum cleaner and lowered it into the drain to fish out the little bird. “He has a steady hand and scooped it up in one go,” says Barbora. “Dominik always knows what to do and he’s a very calm person. Dominik Drahoninsky gently lowers the chick to the ground. The rescued chick has been identified as a pied stilt, a New Zealand coastal bird. Its mother was spotted looking on. It is believed the pair were reunited, with the chick appearing no worse for its ordeal. Dr Westera, of CareVets Glen Eden, who has been an advisor to New Zealand Bird Rescue, says Dominik and Barbora did the right thing in returning the chick to the wild. A bit bedraggled, but the rescued chick appears none the worse for its ordeal. Caroline Wedding, CrestClean’s Auckland West Regional Manager, was proud her team was able to bring a happy ending to the chick’s plight. “That poor little bird had a terrible first day learning to fly and ending up in the drink,” she says. “It was just so lucky that Barbora and Dominik were on the spot to help.